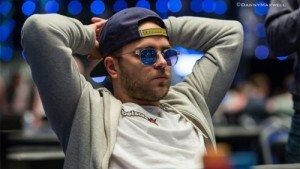 Felix Stephensen, A professional poker player from Oslo, is the winner of the first ever Norwegian poker championship held at its home soil after 13 long years. The event was one of the most watched and most successful poker championships in the history of Norway poker. A report states that more than 100,000 fans watched this particular tournament at T.V Channels. The prestigious event held in the capital city of Norway i.e. Thon Hotel in Oslo. The event was a big hit and a total of 1,973 players participated to the championship main event to which the buy in was 5,000 NOK ($580).This particular tournament was played in Dublin, Ireland last year where total number of players was 1,274 only; it means the tournament saw a very good 55% increase of entrants this year. This was the country’s biggest ever live tournament to which Felix, a native did really well at the end of the game and won the first prize of 1,405,150(NOK) or $162,497(USD). Felix will be remembered for this great victory apart from the world series of poker 2015 runner up when he got second position and made a very good $5,147,911 of live cash. Here is the more detail about finalist of Norwegian Poker Championship 2015. 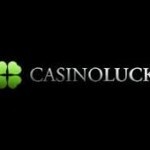 You can log on here at realpokeronline.co.uk to get latest poker news from in and around the world, UK, Ireland, Canada, USA and Australia. We are here to give you latest updates abut online poker and things related.